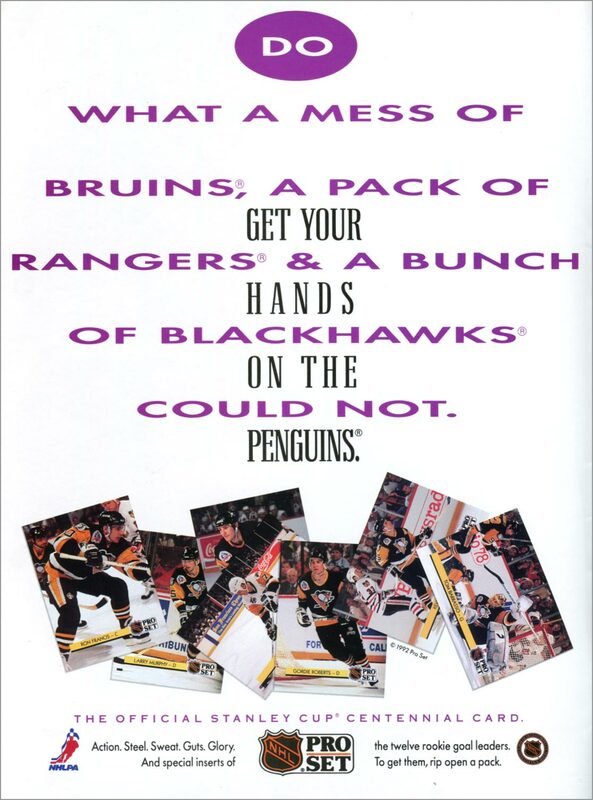 An advertisement, published in Fall 1992 and promoting the forthcoming 1992-93 Pro Set Hockey set, showed seven different Pittsburgh Penguins hockey cards–including a card of defenseman Gordie Roberts. But when the set was released, Roberts was nowhere to be found. Let’s take a closer look at the mess o’ Penguins at the bottom. 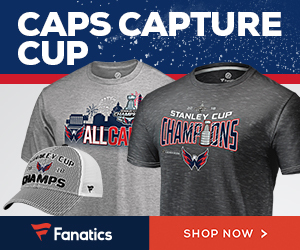 From left to right, the ad shows Ron Francis, Larry Murphy, Rich Tocchet, Joe Mullen, Gordie Roberts, Kevin Stevens and Tom Barrasso. 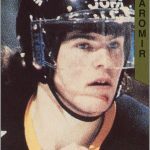 I wonder why Mario Lemieux and Jaromir Jagr – the Penguins best players – aren’t in the advertisement. 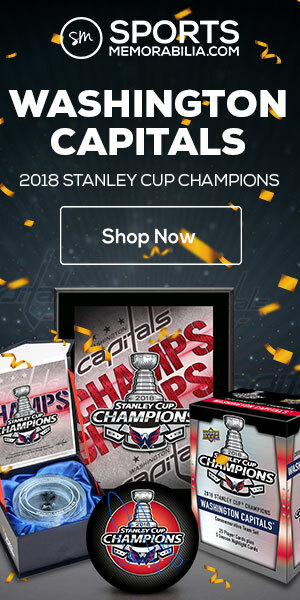 On the left is a close-up of what the Pro Set cards in the advertisement look like. 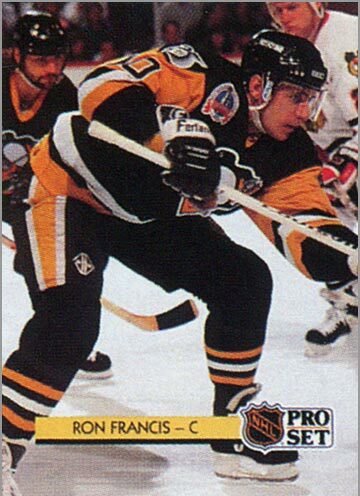 On the right is the actual 1992-93 Pro Set card of Ron Francis. You will notice how much the design changed between promotion and production – including the “new look” Pro Set logo. When the set came out, all the Penguins in the advertisement were issued cards EXCEPT Roberts. 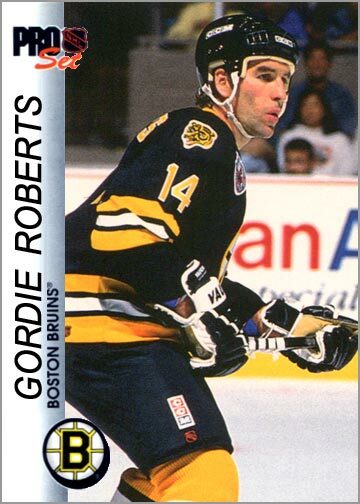 Roberts card was replaced by a card of Ulf Samuelsson. 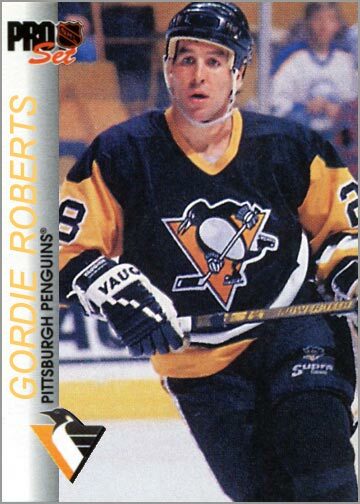 This is probably because Roberts signed as a free agent with the Boston Bruins on July 23, 1992, so there wasn’t really a point in showing him on a Penguins card that fall. 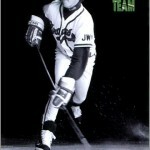 Just for fun, I made two 1992-93 Pro Set cards of Gordie Roberts. 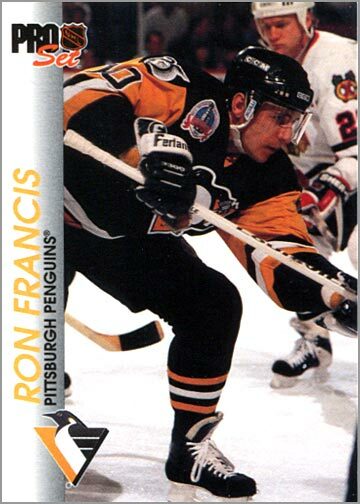 Had Roberts remained with the Penguins, his card might have looked like this. Of course, Pro Set would have used the same photo as they did in the advertisement. 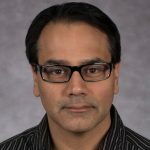 I couldn’t find that particular picture, so this one will have to do. 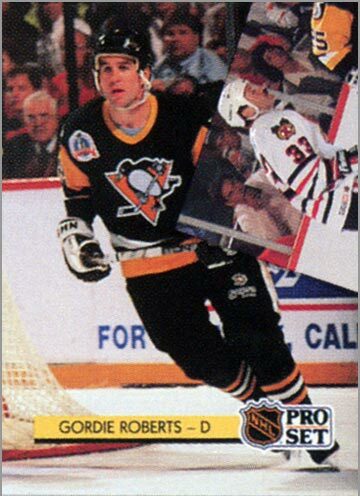 If Pro Set issued their 1992-93 set a bit later, and got a new photo of Roberts, his card might have looked like this (which looks a lot like Robert’s ’92-93 Fleer Ultra card for some reason). 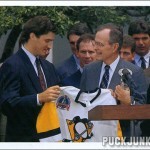 I suspect if Pro Set hadn’t gone bankrupt that season and released a series 2 as planned you might have seen Gordie rocking the B sweater. I love these posts Sal, please keep them up! Glad you are enjoying these posts, Dave. I think you will enjoy the one for tomorrow, too. I am really enjoying this “lost card” series. I can’t wait to see what else you have in store for us! That original design is very close to the 1992 Pro Set football. 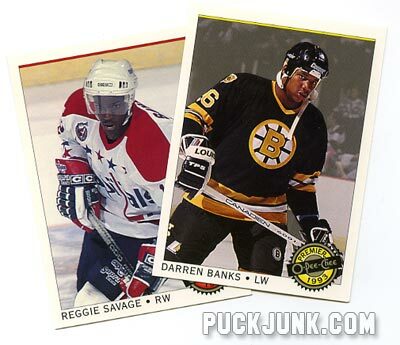 These “promo” cards have the same design as the pack-issued Kirk McLean AU239. I wonder if they DO exist!? That is good to know. 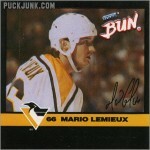 However, I don’t think the Penguins cards exist. The McLean card make sense, as they would have to print those up far in advance, to get them signed and inserted into packs for the fall. So, I could see Pro Set using the outdated design (or football design for the McLean chase autograph.